Having issues with InqScribe? Here is the place to start. We'll walk you through the most common sources of error. If you're looking for more general help on how to use InqScribe, please refer to our Quick Start Guide. If you're wondering why no text is being generated, understand that InqScribe does not automatically produce transcripts. It is a manual transcription tool and does not contain any speech-to-text technology. More about InqScribe's capabilities here. 3. When your machine turns back on, immediately launch InqScribe without opening any other apps. A fresh restart is known to solve a host of issues and helps to ensure there are no conflicts occurring with other apps or devices. Shortcuts do not work. This includes commands assigned to your foot pedal or keyboard. InqScribe relies on either QuickTime or Windows Media Player to power its media engine and can only play files supported by these players. Even if a file has a compatible container format like mp3, mp4, or mov, it could still contain incompatible data (codec) that InqScribe's media player cannot parse. If "IS_Intro.mp4" plays normally, but your file does not, your best bet is to try converting your original file. If the sample file does not work, please contact us at support@inqscribe.com for further help. InqScribe cannot convert the file for you, but there are free, easy to use third party conversion tools that can. 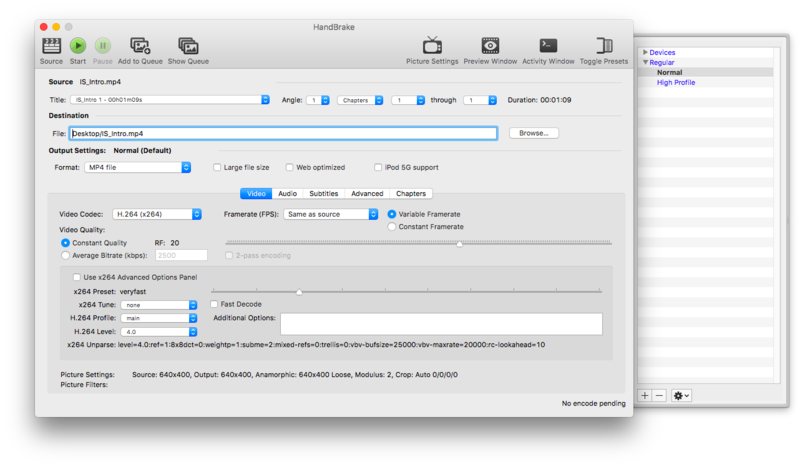 Head over to our InqScribe blog below for a step-by-step guide to converting media files. If your shortcuts generally work but are not responsive when assigned to your foot pedal, please refer to our Foot Pedal Troubleshooting Tips. If you are working with a very large file (larger than a few gigabytes), you may experience unresponsive controls due to the heavy processing power required for playback. For such large files, we recommend either lowering the video quality (which will not affect the timing of your timecodes) or simply cutting the video into smaller parts. Note that Windows Media Player does not support Rewind or Fast Forward for audio files. As such, InqScribe cannot offer Rewind or Fast Forward functions for audio-only files on Windows machines. We'll note that it will possible to enable these features if QuickTime is installed, but we do not recommend doing so due to the security issues explained here. If none of these suggestions resolve the problem, you can contact us at support@inqscribe.com for further help.